One person was killed and two others were injured in a fiery wrong-way crash on Interstate 45 in Wilmer Friday morning. The crash closed all northbound lanes of I-45 at Pleasant Run through the morning rush before the roadway was reopened to traffic before 11 a.m. The investigation into how a driver ended up going the wrong way on 45 is ongoing and investigators are looking into whether alcohol played a role. Officials with the Dallas County Sheriff's Office said the driver of a Chevrolet sedan was headed in the wrong direction and collided with the driver of a Lexus around 4:30 a.m.
One person was killed and two others were injured in a fiery wrong-way crash on Interstate 45 Friday morning. Northbound lanes were closed but have since been reopened. A fire erupted moments later. Both drivers were taken to Baylor University Medical Center. The driver accused of going the wrong way is Jay'la Sherley, 23, of Lancaster. Her mother told NBC 5 that she was driving her aunt's car. She's listed in fair condition. The driver of the Lexus was critically injured. Alejandro Chavez, 19, was a passenger in the Lexus and died at the scene, according to investigators. One driver was killed in a fiery wrong-way crash that closed northbound lanes of Interstate 45 as crews clear the scene at Pleasant Run Road Friday morning. The major accident involved three vehicles. Two people were hospitalized in critical condition, Dallas County Sheriff's Office said. The name of the other victim has also not been released. 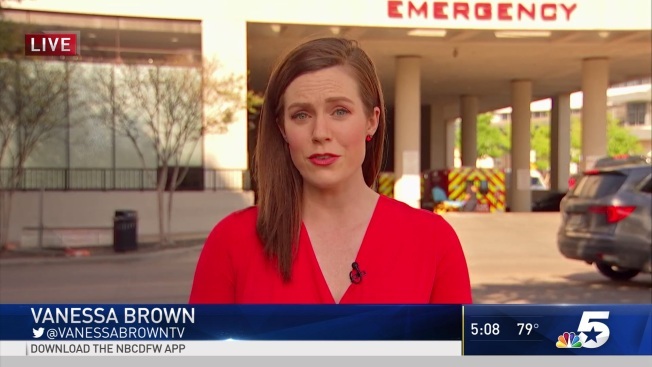 Editor's Note: Dallas County Sheriff's Office initially said two people died, but later said one person died and two people were in critical condition.